The Human Rights Tribunal of Ontario ruled that Emile Wickham was racially profiled and discriminated against when he and his friends were asked to pre-pay for their restaurant meal. 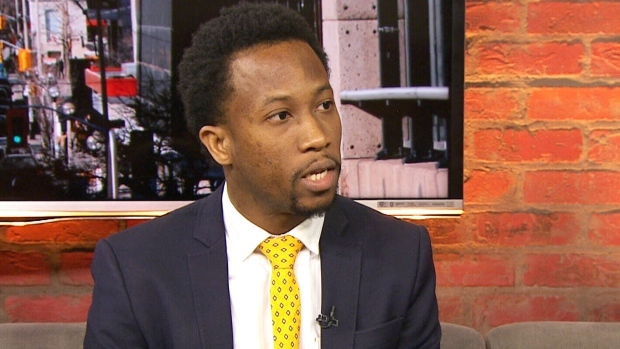 A Toronto restaurant has been ordered to pay $10,000 in compensation to a black man who, along with his dinner companions, was asked to pre-pay for a meal on his birthday four years ago. Wickham told the Human Rights Tribunal that he and three friends, all of them black, went to the downtown Toronto restaurant in the early morning hours of his birthday, May 3, 2014. After they were seated at a table, the server told them they would have to pay in advance for their meals. When they asked why, the server told them it was restaurant policy. Even though they obliged the server’s request, Wickham told the tribunal it did not sit well with him. So he got up and asked three groups of other diners whether they had to pre-pay for their meals – and all of them said no. Wickham told the tribunal that other patrons looked either white, mixed race or East Asian and that he and his friends were the only black customers in the restaurant at the time. He said all restaurant staff were East Asian. Wickham then asked the server to explain why he and his friends were the only ones who had to pre-pay for their meals. According to evidence given to the tribunal, the server did not offer any explanation and simply asked Wickham’s group if they wanted their money back. A restaurant staff member who appeared to have a supervisory role also offered them a refund and behaved in “a dismissive manner,” Wickham told the tribunal. No one appeared at the October, 2017 tribunal hearing on behalf of the restaurant. As a result, the restaurant said that it adopted a policy “many years ago” that non-regular customers would be asked to pre-pay for their meals. “There was never any intent to discriminate against the applicant,” the restaurant said. But the tribunal concluded that Wickham and his friends were racially profiled. Wickham, who came to Canada from Trinidad, told the tribunal the incident had a profound impact on him and his perception of Toronto. Two of his friends who were with him that night also testified before the tribunal and said they felt the incident was racially motivated. “In essence, the applicant was presumed to be a potential thief in waiting despite any evidence to that effect,” Esi Codjoe, the vice-chair of the Human Rights Tribunal of Ontario, wrote in the decision. In an interview with CP24 on Monday, Wickham said he and his friends were “denied our dignity” at the restaurant that day. “I would say that I would give all of this back to just spend two hours with my friends, just bonding for my birthday. That experience was taken away from me,” he said. In a statement to CTV News, the current owner of Hong Shing Chinese Restaurant said the Human Rights Tribunal’s decision is under appeal. “We are deeply concerned about the situation and the people affected, with an added consideration that the reported claim occurred four years ago when the restaurant was under different management,” Colin Li said in the statement.